With an introduction from the New York Times by Joel Lovell George Saunders' most wryly hilarious and disturbing collection yet, Tenth of December illuminates human experience and explores figures lost in a labyrinth of troubling preoccupations. A family member recollects a backyard pole dressed for all occasions; Jeff faces horrifying ultimatums and the prospect of DarkenfloxxTM in some unusual drug trials; and Al Roosten hides his own internal monologue behind a winning smile that he hopes will make him popular. With dark visions of the future riffing against ghosts of the past and the ever-settling present, this collection sings with astonishing charm and intensity. At one point a geophysical engineer, MacArthur Fellowship winner George Saunders is an acclaimed writer of short stories, essays, novellas and children's books. His work includes the story collections CivilWarLand in Bad Decline, a finalist for the 2006 PEN/Hemingway Award, Pastoralia and In Persuasion Nation, one of only three finalists for The Story Prize in 2006. He has also won prizes for his bestselling children's book The Very Persistent Gappers of Frip, has written a book of essays entitled The Brain-Dead Megaphone and his most recent collection, Tenth of December, is a New York Times bestseller. He currently teaches Creative Writing at Syracuse University, New York, and writes regularly for GQ, Harper's and The New Yorker, who in 2002 named him one of the 'Best Writers Under 40'. 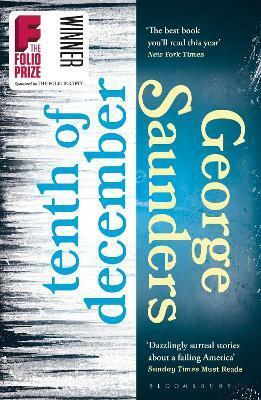 Tenth of December was shortlisted for both the National Book Award and the 2014 Folio Prize. He lives in New York with his family.